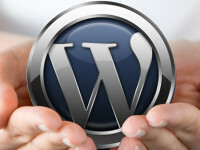 Plugins extend the scope of word press to a great extent. Both free and paid plugins are available for download that allow you to do anything on word press that you can imagine of. Every year much plugin software’s are available and added onto the word press plugin directory. Users can just open this page and download plugins as required. Some of the top plugins of 2014 are listed as below. Without them most word press users would not have run their pages smoothly, user experience says. Live chat plugin:This greatly supports sales and customer service on a webpage. Every business word press user must download this so that their customer support can freely chat with buyers and likely customers. Customers will also be happy when they can easily find answers to their queries. Custom background:This plugin allows a user to set single and multiple backgrounds for the many pages of their word press website. In addition to background custom the plugin gives users several other features like setting background transition time, background stretching, effects and clickable backgrounds for ads. Unique backgrounds would give users a good experience and attract more visitors. Verde Plugin: A plugin that helps save a lot of time from making a coming soon put up. The Verde plugin creates your coming soon put up that will keep users curios to know what your website is all about and would lead them to visit when it is launched. Its unique design features will most definitely bring you the visitors you want. HTML to word press converter plugin: This word press plugin now allows users to easily convert HTML data to word press format. This can indeed solve a lot of format problems that many have been facing. Responsive Pinterest grid gallery: This adds a pinterst colorful touch to your website. With the gallery grid if your website is all about pictures you can now have it all displayed in the homepage so that users can easily click and view them. Some of its other features include the drag and drop capability with slideshow and responsive design. Word press social stream plugin:This plugin gives users the ability to combine social network interactions with their word press website, which in turn brings a large number of viewers from social networking websites. Security Ninja: A plugin that offers full protection from virus threats and hackers, the social Ninja is a must for everyone who wants to protect their website business from harm. The plugin also fixes bugs and gives extensive user support. Fullwidth audio player plugin: This plugin creates a music player at the top or bottom of your webpage. You can easily add and delete audio tracks to it. The audio player can help you get visitors to stay longer on your website. And what more can be needed when the plugin is compatible on all major browsers including android and IOS. If you want to more details please visit custom website design wordpress. White House Releases New Cybersecurity Framework — But How Will Businesses Respond?